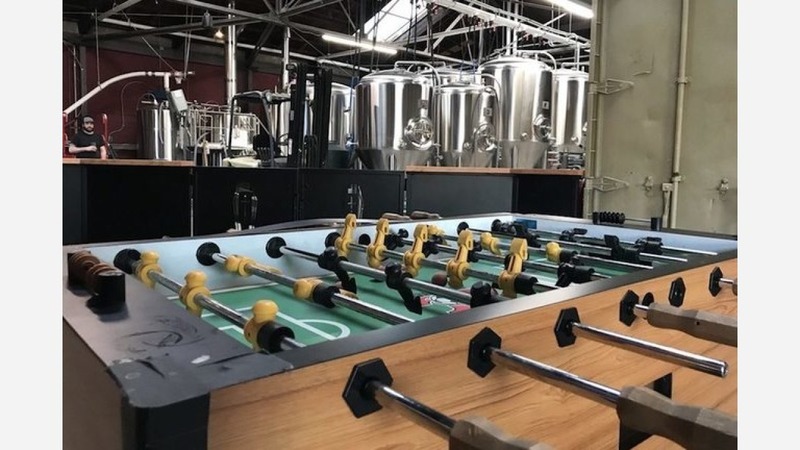 Ghost Town Brewing--known for supplying local bars and restaurants--has opened the doors to its new brewhouse and taproom in an 8,000-square-foot space at 1960 Adeline St. (between 19th and 21st streets) in West Oakland. Founders Ryan Nosek, Adam Hill, Jason Gehman and Samuel Carr-Prindle started small in 2012 with a single-barrel brewhouse and have now expanded just blocks away into a 15-barrel brewhouse operation, reports Eater San Francisco. "We're just super excited to stay where we are and open up a taproom for people in the neighborhood," Nosek told Hoodline last year as construction was still underway. Beer lovers will want to check out Ghost Town's Facebook page for a taste of what the brewery has to offer, including more than a dozen beers on tap and growlers to go. Many brews have distinctive names, such as the "Scumbag" cream ale, "Geisterfaust" pilsner, and the dry-hopped "Polydactyl," named after a cat that has extra toes. The newcomer has already attracted fans, with a five-star rating out of eight Yelp reviews. "I'm not a big beer drinker, but I really like Ghost Town," said Christina S., among the first to review the new spot on March 26th. "Great new tasting room in the heart of West Oakland." 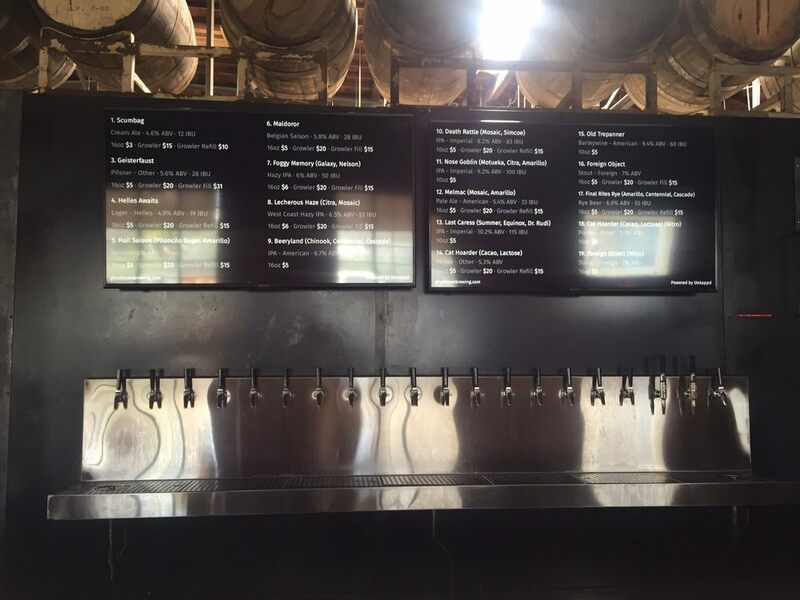 Yelper Kel W. said the brewery was "spacious, welcoming to kids and dogs, and has fun games." With $5 pints and $20 growlers, "I appreciate this because it means it will bring the whole community in, not just the ones that can afford it," said Kel. "West Oakland is in desperate need of a place for the locals to hang out and I think this is the next place." Ghost Town Brewing is open weekdays from 3pm-10pm, and on weekends from noon-10pm.